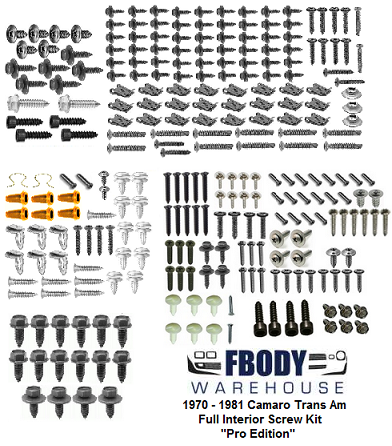 Our 1970 - 1981 Camaro kit includes a full SKU sheet with a complete break down of exactly where every piece goes on your car's cabin. It also has all screws bagged and tagged for an easy and organized installation on the car. This kit is nearly 300 piece! 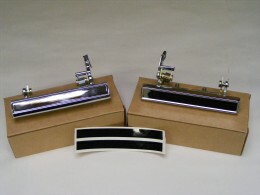 * Dashboard mounting kit - Everything for your car's dash. * Center Console Mounting Kit - Every mounting screw top to bottom, front to back for the center console. 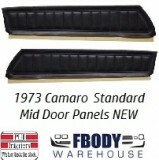 * Door Panel Mounting Kit - Year specific to your car 100% correct and complete for your car's door panels. 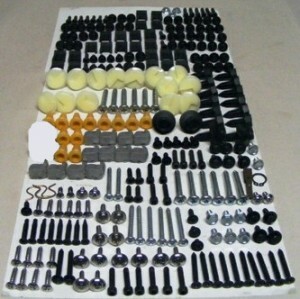 * Seat Mounting Kit - Seat to seat track and seat track to floor bolt kit. 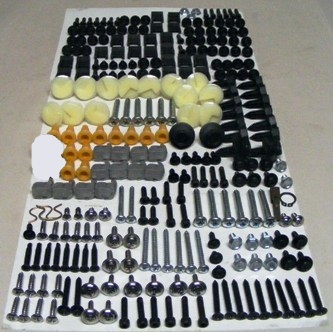 * Interior Screw Kit - Our base kit for all of the plastics and trim in your car. We have pioneered the interior screw kit. Many companies offer a "copy cat" version of our kit. Replication is the highest form of flattery! This in a nutshell is EVERYTHING in your interior. 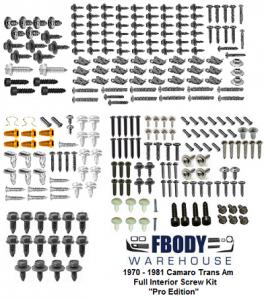 Every nut, bolt, screw, clip & fastener is NEW and has been check and cross checked to ensure a clean and stock appearance. While not every piece maybe a 100% perfect match to stock these will be the best and closest in appearance you will find anywhere. Please select you cars needs using the drop down boxes below.